Since the beginning of the Revolution, the regime tried to fray the social fabric of Syrian society in an attempt to derail the Revolution’s goals of and demand for freedom, dignity, and justice in a civil state. Due to outstanding public awareness and behavior, the regime’s attempts to drag the country into civil war have thus far failed, despite its oppression, violence, and repression. 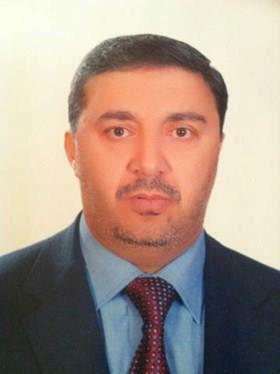 Senior Hamas official Kamal Ghnaja was killed yesterday 27-6-2012 by regime Shabiha in his home in Qudsayya. Signs of torture was found on his body. The regime is clearly counting on creating conflict and sectarian violence and igniting strife between Syrians and Palestinians by recruiting drug dealers, drug users, and other criminals into the shabiha. These shabiha enter Palestinian refugee camps under the guise of “safeguarding the camps,” yet commit murder and engage in kidnapping. The most recent evidence of this is the assassination of Mr. Kamal Ghanjeh (Abu Anas Nizar), a Hamas leader who was tortured to death by the regime’s shabiha. The shabiha then set his house on fire to destroy the evidence of their heinous crime. The Local Coordination Committees in Syria (LCC) offers its deepest condolences to our Palestinian brothers and sisters, who have demonstrated the unity between our two peoples since the beginning of our Revolution. We condemn the regime’s criminal acts against Palestinians in Syria, and affirm that the regime’s cowardly attempts to destroy our brotherly relations and common objectives between the two peoples will not succeed. We reaffirm that only as free people can we be capable of regaining control of our rights and our occupied territories. The battle against tyranny is the same in Palestine and Syria [only Palestine is under occupation]. Suad Al-Tayyeb. Palestinian refugee living in Damascus. 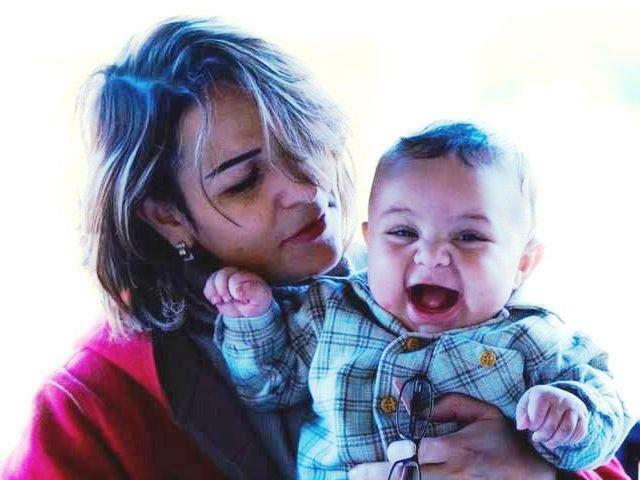 35 years old, married and a mother of the one year-old child in the photo. She was detained on 10-6-2012 from her office where she works as interior design engineer. She was active in relief campaigns. The reality is, beyond any reasonable doubt, that the regime’s rejectionist policies (toward Israel) and claims of steadfastness for the past 40 years have only been attempts to enslave the people. The Palestinian experiences in the past demonstrate that the Syrian regime views the Palestinian people as mere cards with which to gamble, regionally and internationally. A regime that kills its own people will not shy away from spilling Palestinian blood for the sake of its own survival. The regime’s lies about its resistance to Israel were exposed as it took advantage of Palestinian heroes, whose yearning for their own homeland translated into facing Israeli bullets with bare chests, while the artificial resistance along the Golan Heights border has remained silent during the regime’s long tenure. Thus, the LCC renews its call upon the Syrian and Palestinian public to avoid being pulled into the regime’s web of lies. We salute the Palestinians’ stand with the Syrian Revolution for dignity, which has thus far resulted in hundreds of Palestinians martyred and detained in multiple Palestinian camps. We also deeply appreciate Palestinian relief efforts, which have included sheltering our own refugees and providing financial support, both inside Syria and abroad. you are such a twister.. You accuse syrian authorities of killing one of hamas leaders and forget about Mosad? when jordan assaulted alfedaieen syria protected them..
Why dont you tell us about the way palestiniens treated in jordan or lebanon or gulf? You’re exactly right, hence more than 150 Palestinians martyred in Syria, around 700 injured, and more than 35,000 detained. thanks for opening our eyes to this, razan! (i’m a palestinian in the u.s. and hadn’t heard about this before seeing it on your blog). kabamaru; enough of blaming things on the mossad! the syrian regime is BRUTAL and this brutality is being inflicted on syrians and palestinians alike. the syrian regime has already proven in the past that it has no qualms killing palestinians or even killing its own people, and if you’re not aware of these historical facts, then you are willfully brainwashed! Palestine always was a playing card for Assad, his father knew how sensitive the Israeli issue for the West and he used it to get away with his atrocities. But now the truth is crystal clear. Freedom and human rights cannot be divided, one cannot claim wanting freedom and human rights for Palestinians and deny it for Syrians because the Palestinians want freedom!